There is still information to be found on these old, long gone farmsteads, but it’s not easy to track down. The dwelling of Abbott’s unsurprisingly had many links to the church. Richard Abbott was one of four Puritan ministers of Rivington between the years of 1647 to 1662. This is backed up by the local historian, George Birtill, who says that in 1625, Richard Abbot was churchwarden, and he was threatened with excommunication if he did not collect the fees that were due to Bolton Parish Church within three months. 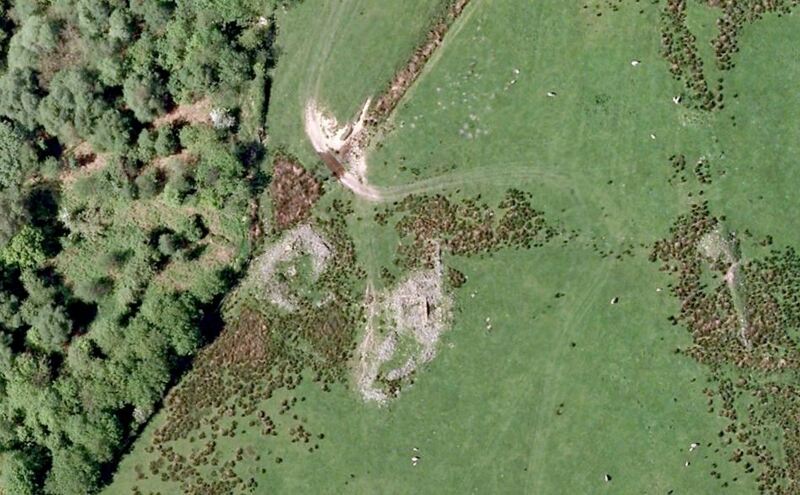 The ruin is no longer labelled on modern mapping. A longer version of this tale is told in Fergusson’s excellent “Short History Of The Township Of Rivington” book, which is over 100 years old but is still available via Hardpress Classics. Richard Abbott was hailed before the Ecclestiastical Court because he “denieth to gather the Church lea being called for the use of the Church of Bolton”. The notes in the Registrar’s clerk’s handwriting were apparently very difficult to decipher, but Abbott was seemingly given a suspended sentence until 17th March 1626 providing he “collecte and gather such leas and cessments due to Bolton Church as belonge unto him to gather and hath bin accustomed to be collected by his predecessors churchwardens of Rivington and to certifye his diligent performnce, and herein under the Minister and churchwardens their hands of Bolton within two months”. Present day fly-by with still some ground evidence. A visit to the British Library led me to discover that some 15 or so years later, in 1641, Richard was referred to as a husbandman – in other words, a small tenant farmer, whilst still involved with the church. This is backed up by a statement in Richard Skelton’s excellent Landings book. 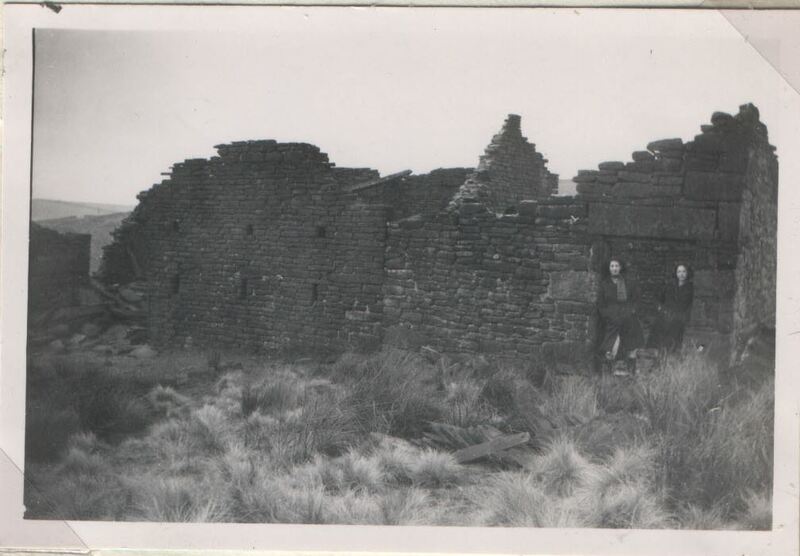 A photo taken maybe 50 years ago, with two people in the doorway. In 1657, Richard apparently left the area as he was not settled, and gave up his position as churchwarden. It is reckoned, however, that the real reason for Abbott to relinquish his position was not because of him not feeling at home in the area, but instead because he could not fall in to line with the requirements of the authorities setting up the Presbyterian system, so the role passed down to a Rev. Samuel Newton. A second earlier photograph that I believe has been unpublished till now. 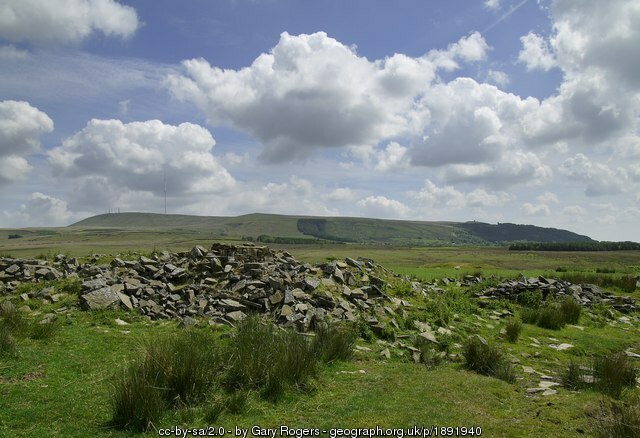 The Church Wardens list names a John Abbott of Anglezarke in 1696, and he was still resident twelve years later. Other Abbotts were George, James, and Reverend Thomas. The book I gathered this information from was The History of Rivington with Lists of the Clergy, written by Thomas Hampson in 1893. It is an assumption on my part that John Abbott was of Abbott’s. 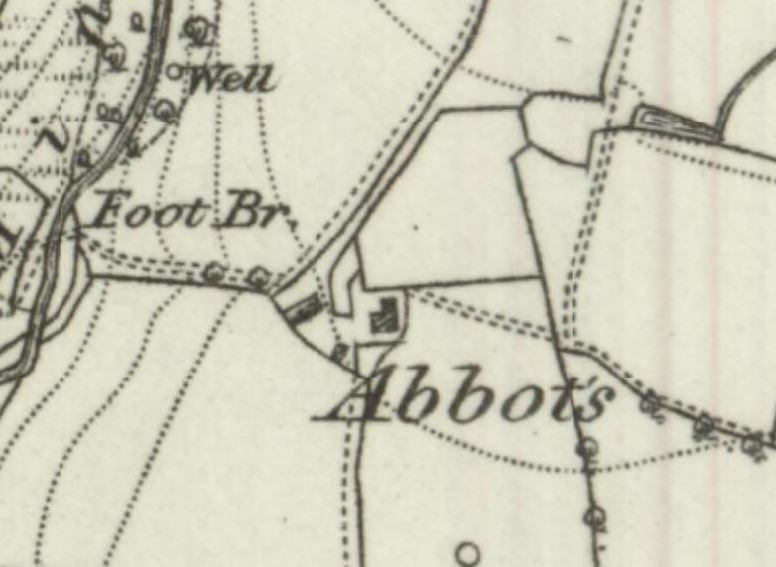 Abbots, with Lead Mines Clough to the NW. 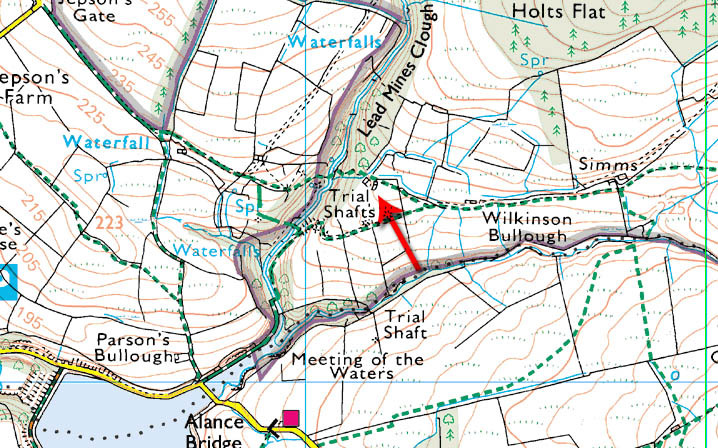 We learn that In 1757, there were 27 acres to the property, and it was farmed along with Simm’s from 1848. This information is in the old property leases of the area. 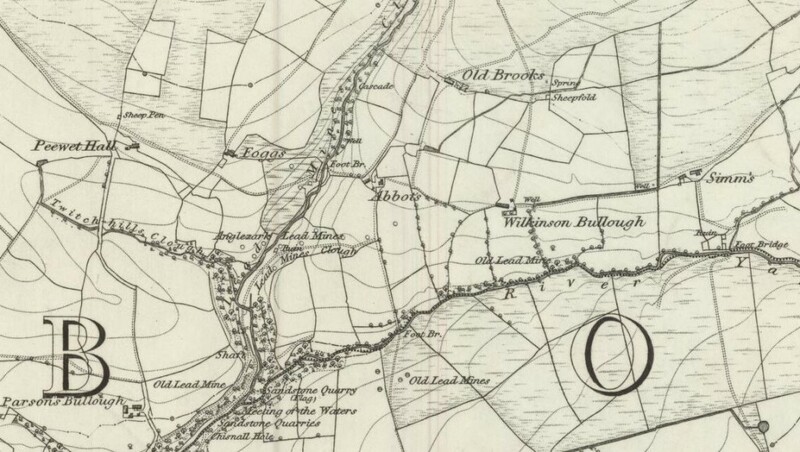 In 1819 the farm had links, unsurprisingly, with the dominant Pilkington family. Samuel Pilkington, who was born in 1819, was known to be a Stone Quarryman at the age of 32, and was confirmed as resident at nearby Old Brook’s Farm in 1861, until finally at the age of 62, in 1881, he was listed as living here at Abbott’s. His spouse, Charlotte Webster, was listed as a Hand Loom Cotton Weaver whilst at Old Brook’s. It is probable that she continued this occupation when the pair moved to Abbott’s. The rent dropped to 66% along with Old Brook’s on 1897. 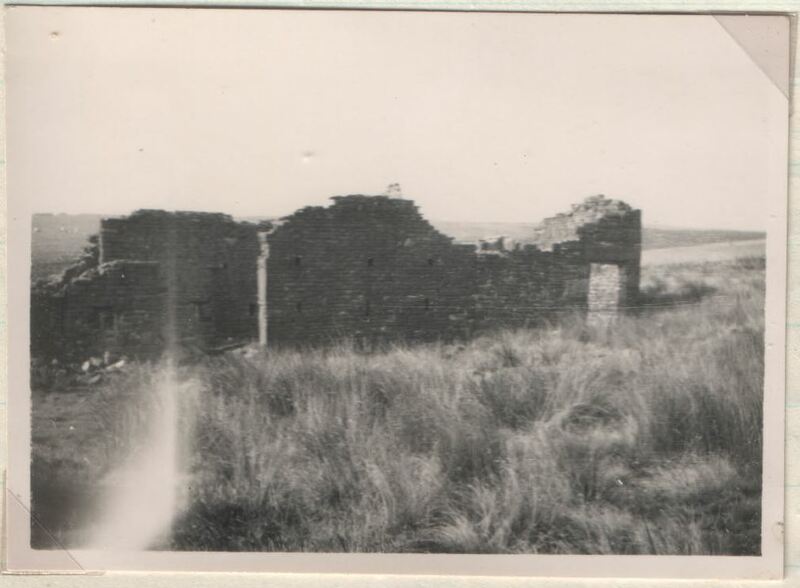 It fell in to the same fate as the other farms of the moors, confirmed by statements which reveal that in 1936 it was said to be in a very ruinous state, and evidently not as large as many of the other farms. Thankfully as it is off the beaten track, it is not quite as ruinous as some of the other remnants. Samuel Pilkington bc 1819 was the son of Samuel Pilkington bc 1775 and Betty Ainsworth who lived at Foggs Farm. His wife Charlotte died in 1858 and by 1861 Samuel was a widower living at Marsdens Terrace, Adlington with 5 of his children. He died in Adlington aged 44. In the register you also see Thomas son of John Abbott born of Anglezarke, 6 Jan 1678. 1654 Rev. Thomas Abbott Minister of Rivington Church until 1657.